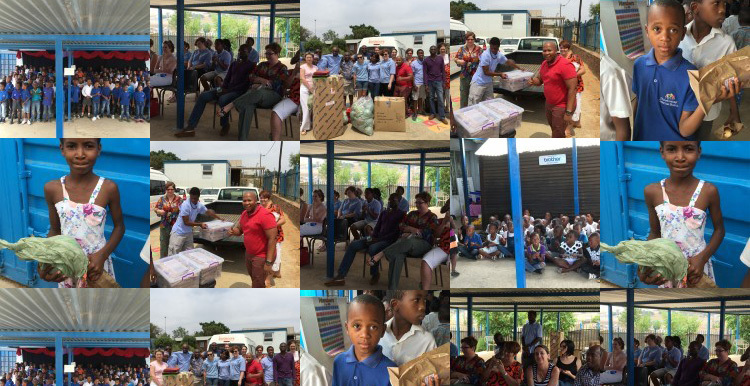 On Friday 13 November Intercape staff attended the annual Christmas function at Olievenhoutbosch Christian School situated in Olievenhoutbosch informal settlement, Centurion Pretoria. i-Care provides daily meals for 160 children (Grade 0 to 4). Since the beginning of this year, Irizar has partnered with the i-Foundation at OCS and we look forward to develop this relationship during 2016, giving both companies the opportunity to engage in this community during week-ends, as well as future fundraisers. A big thank you to these amazing kids, who treated the visitors with a Christmas concert based on the parable of the sower (Matt 13:18-23). Not only are they truly talented but they knew their lines, engaged the audience and portrayed each part of the parable with Godly boldness and lots of humour! To Ria Wessels (Principal) and teachers: thank you for the pillars of character and righteousness you daily build into these children’s life. You create a future and are a huge example and blessing in this community – we salute you.